With nearly 7 million square feet of certified and registered multifamily projects, Green Living, LLC brings extensive experience to the LEED certification process for multifamily midrise buildings. In LEED v3.0, projects of 4 to 6 stories could opt to pursue certification under LEED for Homes Multifamily Midrise. And with the arrival of LEED v4.0 in November 2013, the midrise rating system was extended to include buildings up to eight stories. Given this increase in scope, an understanding of the LEED for Homes rating system is more relevant for developers and building design professionals than ever before. LEED for Homes is a green home rating system developed by the U.S. Green Building Council in 2005 and launched in December 2007. While many local and regional green homebuilding programs already exist, USGBC’s intent for the program is to provide a nationally consistent framework for defining the features of a green home and to make a green home rating achievable for builders regardless of location. Residential projects of eight stories or less are eligible to use the LEED for Homes rating system. The system is further subdivided into two categories: Homes and Multifamily Lowrise, appropriate for single- and multifamily buildings of 1 to 3 stories, and Multifamily Midrise, for residential buildings of 4 to 8 stories. Some flexibility in rating system selection does exist for projects that fall close to another appropriate rating system. Projects 3 to 5 stories may choose the Homes rating system that corresponds to the ENERGY STAR program in which they are participating. Buildings near 8 stories can inquire with USGBC about using Midrise or New Construction. Currently, LEED for Homes is focused on the construction of new homes and homes undergoing full gut rehabs; however, USGBC has partnered with the American Society of Interior Designers to create green residential remodeling guidelines available online here: http://www.regreenprogram.org. How is the certification process different? LEED for Homes uses the same progressive certification levels (Certified, Silver, Gold, Platinum) as the USGBC’s other LEED programs; and while those who are already familiar with these rating systems will find many familiar features, some notable distinctions do exist. A total of 136 points are achievable under eight categories, and LEED for Homes contains 18 prerequisites — nearly double that of LEED NC. Additionally, the number of points for each certification level is adjusted for smaller-than-average and larger-than-average homes using a mechanism called the Home Size Adjustment. Perhaps the most significant difference in LEED for Homes is in its review process. Projects do not undergo review by GBCI via LEED Online; instead, they are third-party verified by LEED for Homes Providers and Green Raters. LEED for Homes Providers are local and regional organizations chosen by USGBC to provide certification services to LEED for Homes projects in their local or regional markets. A Green Rater is an individual who works as a part of the LEED for Homes Provider team (and may be in-house staff or a subcontractor) to perform field inspections and performance testing. Once a project has been registered, the LEED for Homes Provider or Green Rater will provide a preliminary rating of the home. During construction, the Green Rater will conduct two on-site performance tests and visual inspections; one is conducted prior to drywall installation, and one is conducted upon construction completion. The Green Rater will then prepare a documentation package, including a completed LEED for Homes checklist, Accountability Forms, and a Durability Risk Evaluation Form, and submit the package to the LEED for Homes provider for review. While this process will surely change over time as USGBC strives for continual improvements in its rating systems, it appears that LEED for Homes is here to stay and only gaining momentum. The team at Green Living, LLC can help navigate the rating system, making the certification process smoother for all team members from design through construction. Nouvelle Tysons Corner a Candidate for USGBC LEED Project of the Year! 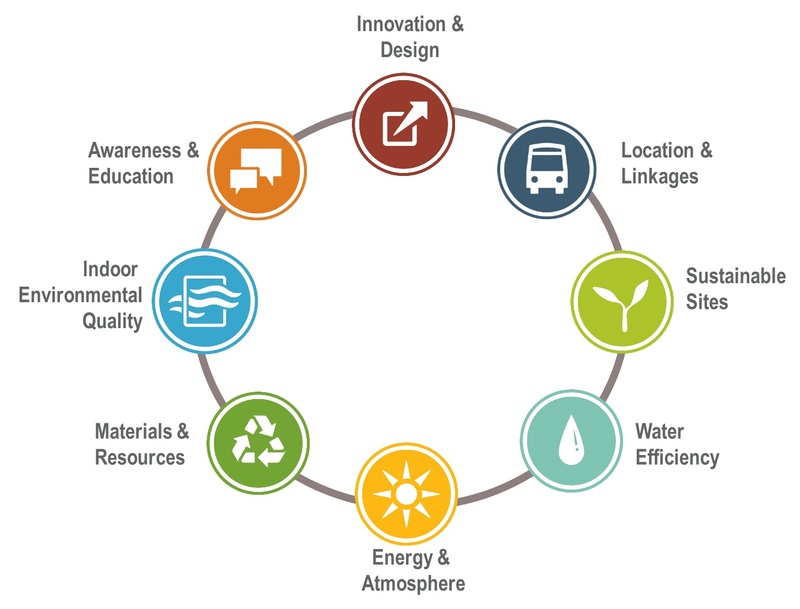 Green Globes: A new direction for green building certification?